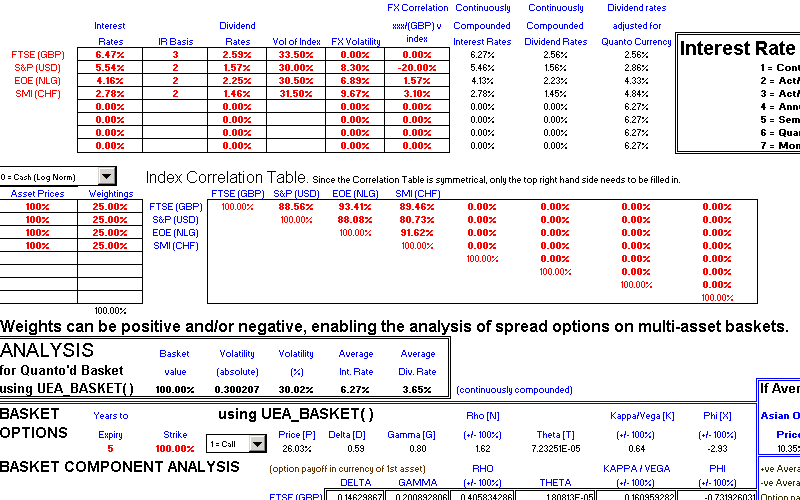 The Quanto analyser analyses options on an asset, where the strike price is quoted in a different currency than the asset. 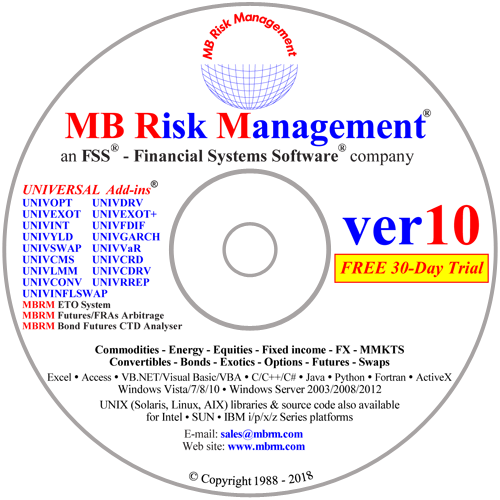 The asset price is converted to the strike currency on exercise based upon the market exchange rate at the time of exercise. Therefore the volatility of the FX rate is relevant, together with the correlation between the FX rate and the underlying asset. 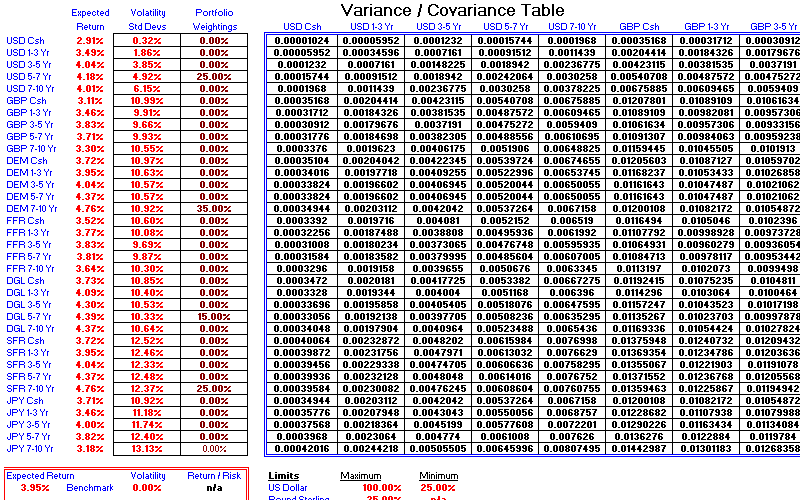 The basket analyser calculates the volatility of a weighted basket of assets, based upon the variance of each asset and the covariance between the assets. 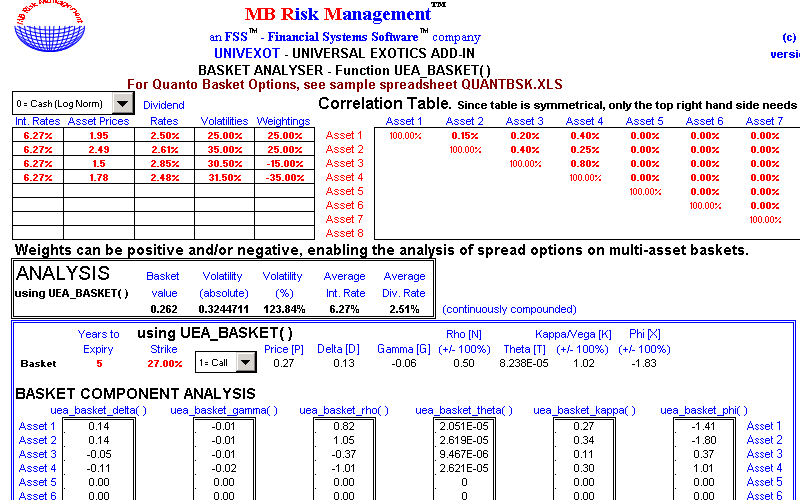 This volatility can be issued as an input into the option pricing models when examining options on baskets. 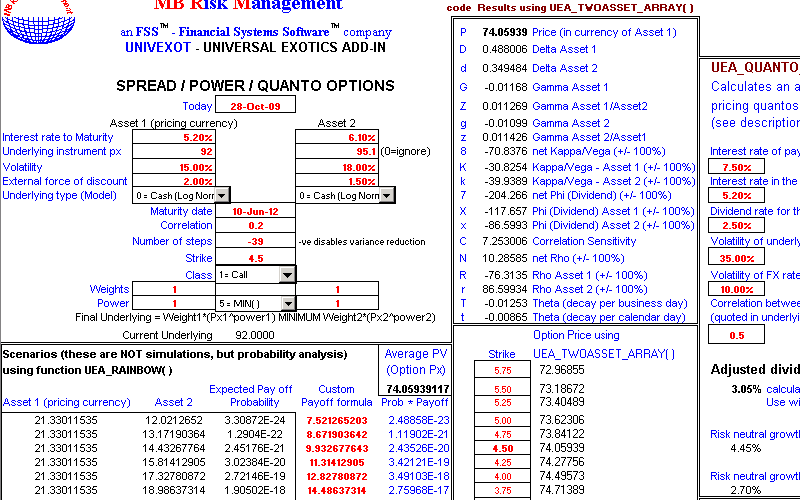 Calculates the weighting of assets in a portfolio to maximize returns while minimizing risk. Price on application.